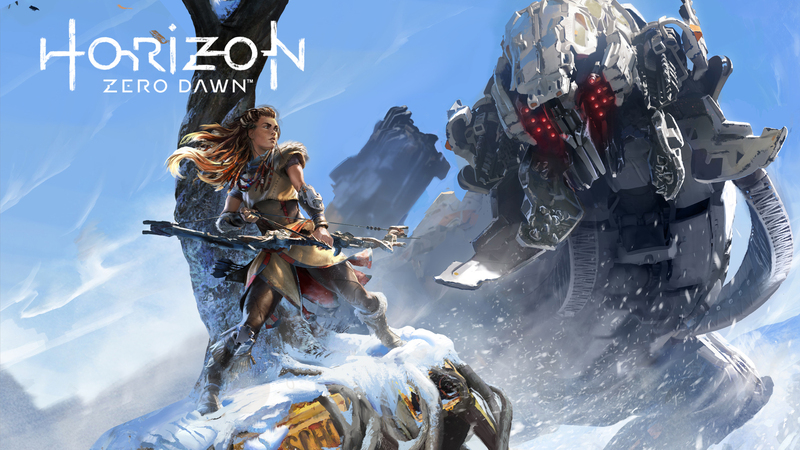 Welcome to Horizon Zero Dawn, an action rpg game created by Guerilla Games. This game is a cross between Tomb Raider shooting mechanics and exploration, The Witcher 3 type engaging side missions and stories, and with graphics that are on par with Uncharted 4, maybe even better. The game is pretty easy game to platinum, as there aren’t any difficulty related trophies, and most of the trophies are for completing all types of activities and finding all collectibles. This game is simply a joy to play, and should take you 40-60 hours to platinum the game. This is one of PS4’s best exclusives and I consider it an early contender for GOTY. Great work Guerilla Games for your first foray into an open world third person game! For efficiency, you should focus on completing all main missions, till you get to the final mission called Looming Shadow. Most of the main missions aren’t too difficult, and just by playing the game you should unlock other miscellaneous trophies along the way. There are 5 Power Cells in the game. Finding all 5 will help you in unlocking the Shield-Weaver outfit, which is an extremely powerful outfit. It negates all type of damage as long the suit flashes blue. You only take damage when the suit flashes red, at which point you can hide till its energy regenerates. This suit should help for the final mission and side missions. In this step, you want to focus on doing all side missions, errands, overriding all Tallnecks, beating all cauldrons, clearing all corruption zones, and clearing all bandit camps. You should also collect all metal flowers, banuk figures, ancient vessels, vantage datapoints, and destroy all 23 training grazer dummies. With all other side content finished in the game, you can beat the final mission and finish the campaign of the game. Note: You may unlock many of these miscellaneous trophies during the other steps as you’re playing the game. Performed a stealth kill on 10 machines. You need the Silent Strike skill from the Prowler skill tree. It costs 1 skill point to unlock. Once unlocked, you can sneak up behind enemies and kill them stealthily, or hide in tall grass and whistle to them. When they get close to you, kill them with the silent strike. Kill 10 enemies to get this trophy. This can be done at the start of the game on weak enemies, such as the Watchers. Also works well on striders and red eye watchers as well. Killed 3 enemies using the Strike from Above skill. You need the Strike from Above skill from the Prowler skill tree. It costs 2 skill points along with already purchasing the Silent Strike skill. You can kill enemies that are below you by using this skill. Works well against Humans and small machines such as watchers, red eye watchers, scrappers, and striders. You can use rocks to get them into a suitable position, and then you can strike them. You can also do this effectively in bandit camps. Entice a human enemy to chase you up a staircase, and as he/she approaches you, you’ll get an option to press R1 to do a strike from above. Do it 3 times to unlock this trophy. Detached 10 components from machines during combat. Many larger machines have certain combat components attached to their bodies. When you do enough tear damage to these components, they will tear off the bodies of these machines. Make sure to use focus scan (R3 button) to know which components can be hit and torn off. The easiest way to get components off machines is to use Tearblast arrows from the Sharpshot bows. These arrows tear off any component regardless of the enemy size or health it has. You’ll probably get this trophy by just playing the game, as you’ll encounter many enemies during your campaign. I got it when I was testing Tearblast arrows on Thunderjaws. Killed 10 machines weak to Fire while burning, or weak to Freeze while frozen. You get this trophy by applying the burning or freeze status on enemies that are weak to that status, and then killing them while that status effect is still in place. When they are burning, you can see the machines jumping up and down with fire on their bodies. When frozen, their entire body is covered in ice, and the machine move slower and you’ll be able to more damage on their entire body. Using fire arrows are recommended for applying the burn status, and Freeze bombs from Shadow Slings are recommended for applying the freeze status. Also once these status are applied on enemies, there will a counter showing how much time they will be burning on top of their bodies. Once the status is in effect, use other stronger ammo type to kill the machines quickly before the status effect wears off. I personally got my trophy by burning Sawtooths. UPDATE: Also in the final mission, you’ll be using the Oseram Cannon weapon for a set period of time. You’ll be up against many machines, and so this is a perfect area to get this trophy as the weapon will burn enemies. You’ll most likely already have the trophy way before this part. Detached 5 heavy weapons from machines during combat. Larger machines in the game have heavy weapons attached to their bodies. Thunderjaws are the most common ones. They have two Disc Cannons attached to their backs, and one Tearblast arrow from the Sharpshot Bow should detach the heavy weapons. You can buy Sharpshot Bows at most merchants when you reach the desert region. Thunderjaws are the best enemy type to farm this trophy on. Killed 30 human enemies by landing headshots on them. Most human enemies die in one headshot with a normal arrow. The ones that wear armor and helmets will need 2-3 shots. Using Concentration (R3 button while aiming the bow) skill is very helpful for this trophy as you can slow down time and aim precisely for headshots. It costs 1 skill point, and is found in the Brawler skill tree. Should come naturally if you want to stealth most of the bandit camps. Found and knocked over all of the Grazer training dummies in the Nora region. There are a total of 23 Grazer training dummies located all around the Nora Region (starting region). They are all located in settlements and camps. So you do not have to worry about searching for them in the open world or campfires. Used a Weapon Coil or Outfit Weave on a modifiable weapon or outfit. Weapon Coils and Outfit Weaves are modifications for your weapons and outfits. These mods are can be looted from enemies or can be bought from merchants. Tougher and larger enemies drop more than one mod sometimes. You can find these mods in the Modification section of the inventory menu. To get this trophy, go to the crafting menu and attach mod to either a weapon or outfit to unlock this trophy. Some mods can are weapon specific, so if you have one for a weapon you don’t have, wait till you get that weapon to use it on. I got this trophy after I beat my first Watcher. It dropped a mod for my Bow and I equipped it to get the trophy. In order to level up, you need experience points. Experience can be attained by doing missions, and killing enemies. Reaching level 50 is really easy in this game, and you’ll reach this level before getting your other final few trophies for the game. Farming to level 50 isn’t really required. I found this exploit initially and it was working with patch 1.02, but many people have reported that it’s not working. I would suggest going to other trials and redoing them. Whichever one gives experience, stick to that one, and farm it to get to level 50. The game features a total of 36 skills. You get skills points each time you level up, finish specific side missions, and other side content in the game. You get more skills points than you need to unlock everything, so you should be able to unlock all skills by just completing all content in the game and leveling up. Once you buy your last skill, this trophy should unlock. Unlocked and used the overrides for 7 different types of machine. You unlock the ability to override machines in a main mission. From then on, you can unlock new overrides from completing Cauldron, which are dungeons in this game. Cauldrons appear on the world map as a triangle symbol, and can be seen on the map after overriding Tallnecks roaming the surrounding region. There’s a total of 4 Cauldron. Complete them all, and then use your new override upgrades to override 7 different types of machines. Killed at least one of every type of Acquisition machine. Killed at least one of every type of Reconnaissance machine. Killed at least one of every type of Combat machine. Killed at least one of every type of Transport machine. Scaled a Tallneck and accessed its information. Took back a settlement from a bandit clan. Reached the Core of a Cauldron and accessed its information. Earned at least a Half Sun mark in all three trials at one Hunting Ground. Earned a Blazing Sun mark in all three trials at one Hunting Ground. Killed all the corrupted machines in a Corrupted Zone. Scaled all of the Tallnecks and accessed their information. There are 5 Tallnecks in the game. They are basically the largest machines which are mobile synchronization points akin to Assassin’s Creed synchronization points on towers. Once overridden, the fog on your map for that specific region will disappear and will show all locations of settlements, machine locations, bandit camps, corrupted zones, and cauldron locations. The first one is introduced when you are doing a main mission, the others will be located on you map. You can choose to run to them, scale them and override them to open up all the regions of the map. But some Tallnecks are at the farther ends of the maps which will feature higher levels enemies that will OHKO (one hit KO) you. So it’s your decision if you’d like to do it early in the game. Took back all settlements from the bandit clans. There are a total of 6 bandit camps, and will be marked by a blue skull with crossbones icon on the map after you have overridden Tallnecks within the surrounding region. In order to clear the bandit camps, you have to kill all enemies. There is an NPC called Nil, who will help you if you talk to him. Just stealth through these camps and kill the enemies with headshots and stealth strikes. Once you beat the final bandit camp and clear it, the trophy will unlock. Reached the Core of every Cauldron and accessed the information within. Cauldrons are basically this game’s version of dungeons. They usually feature high level enemies, very intricate architecture to traverse through, and will reward you with override upgrades each time you clear them. There are a total of 4 Cauldrons, and they are marked by a blue triangle icon on you map after you have overridden the Tallnecks within the surrounding region. Earned at least a Half Sun mark in all trials at all of the Hunting Grounds. Earned a Blazing Sun mark in all trials at all of the Hunting Grounds. In this game, there are challenges in the form of Hunter trials. There are a total of 5 different Hunter Trial locations, and each location has 3 different trials adding to a total of 15 unique trials. Hunter Trial Grounds are marked with a blue Bow and arrow icon on the map, after you have overridden Tallnecks within the surrounding region. You have to get the highest score in all these trials to earn Blazing marks in all of them to get this trophy. Getting Blazing marks on all trials also unlocks other trophies tied to trials. These trials are all time based, so the faster you finish the trial, the higher the mark you’ll get. But you have plenty of time to finish with Blazing Sun marks. The trials aren’t too difficult. Some can be annoying, and that’s pretty much it. NOTE: In the final Hunter Trial ground location, the Ravager Control Trial requires you to have the override upgrade to override a Ravager. You need to complete Cauldron Rho to get this override. Refer to trophy All Cores overridden for more info. Killed all the corrupted machines in every Corrupted Zone. In this game there are a total of 11 corrupted zones, and they are marked by a white circle with a cross mark icon on the map after overriding Tallnecks within the surrounding region. You have to kill all corrupted machines in this region to clear the zone. The corrupted enemies are stronger versions of machines, have more health, hit harder, and inflict Corruption status on you. Corruption slows you down, so you can’t run. After you clear the final zone, you’ll unlock the trophy. Encountered and Focus scanned every type of machine. There are a total of 26 different enemy machines in this game. In order to get this trophy you have to scan every machine in the game using focus. You can check which machines you’ve scanned in the in game notebook. Right after you scan a unique new enemy type, kill it for trophies involving the killing of the machines of a specific type. The game doesn’t tell you which enemy belongs to which category of machines, so you’ll just have to kill the new enemy machine types as you scan them. Found and accessed a Vantage datapoint. Discovered a strange metal flower. Found a wooden effigy left by a Banuk traveler. Found an ancient vessel once used by the Old Ones. Found and accessed all of the Vantage datapoints. There are 12 vantage datapoints in the game. You can buy maps from specific merchants to show the locations of these vantage datapoints on the world map. They are marked with a white eye icon. See All Ancient Vessels found trophy for more information on how to get all collectibles to spawn on the world map! Found all of the Metal Flowers. There are 30 metal flowers in the game. You can buy maps from specific merchants to show the locations of these metal flowers on the world map. They are marked with a white flower icon. Found all of Arnak’s figures. There are 6 Banuk figures in the game. You can buy maps from specific merchants to show the locations of these Banuk figures on the world map. They are marked with a white deer icon. Found all the Ancient Vessels. There are 12 Ancient Vessels in the game. You can buy maps from specific merchants to show the locations of these ancient vessels on the world map. They are marked with a white mug icon. Recovered an ancient technology and put it to use. In order to get this trophy, you have to find 5 power cells in the game, bring it to the Ancient Armory, and unlock the Shield-Weaver outfit. These are the ruins where young Aloy first falls into at the start of the game. Since she’s all grown up now, she can use her spear to open the door and grab the power cell and start the Ancient Armory side quest. It’s in one of the rooms, accessed by crawling into a ventilation shaft. You can grab it during the main mission, or at the end of the game in Free roam before the final mission. It’s located in the third floor, and you can grab it after solving the ring puzzles to open the door to its location. This ring puzzle and door is part of story progression, so you can’t miss it. If you do miss it, you can come back after the mission is over. It’s located on the 3rd floor right before you have to rappel down at the beginning of the mission. Before you do rappel down, turn left and fall down to the rocks to a hidden room with this power cell. You can come back to this area if you miss it. The Shield-Weaver outfit is really powerful and breaks the game, as you are invincible as long as the outfit flashes blue. Once it starts flashing red, you will take damage and will have to wait till it regenerates. It negates all type of damage, including fall damage as long as it flashes blue. Now you’re not going to survive a death defying fall, but most falls that you will take damage from, it will negate most of it. Learned to hunt and fight alongside Rost. Story-related trophy from a main mission, and is unmissable. Defeated the Sawtooth that threatened the Nora. Overcame adversity and placed first in the Proving. Destroyed the corruption inside the Nora valley. Story-related trophy from a main mission, and is unmissable.. Learned of the ancient past at Maker’s End. Infiltrated the Eclipse battle camp and crashed their network. Discovered the truth of Zero Dawn. Defeated the invaders and went inside the sacred mountain. Explored the Mountain That Fell and recovered a powerful weapon. Given Aloy’s actions, all possible optional allies joined the defense. In order to get this trophy you need all 13 possible allies to come and aid you in the final fight. Play until the final main mission of the game which is called The Looming Shadow. Do not start this mission. Instead go and finish all side content in the game. Once all these side quests are completed, go and start the final mission. You are given optional objectives to go talk to all your allies that have come to help you out. Go and talk to them. Once you have spoken to all of them, go to sleep and the trophy should unlock after the cutscene. UPDATE: I have confirmed that dialogue choices do not affect this trophy, so play and choose whichever dialogue choice you’d like. Also he confirmed that killing Nil in the side mission Cause for Concern does not affect the trophy as well. Ended the threat of the ancient war machines. Found the Nora War-Chief and defeated the killers in the Ring of Metal. Helped Erend investigate Ersa’s fate, and foiled a plot against Meridian. Aided the escapes of Uthid and the child king Itamen from the Shadow Carja. This trophy is unlocked by finishing the side missions Traitor’s Bounty and Queen’s Gambit. Traitor’s Bounty unlocks automatically during a main mission when you reach the Shadow Carja capital. Completing Traitor’s Bounty unlocks the Queen’s Gambit side mission. Once both missions are complete this trophy will unlock after the cutscene that ensues. Rose through the ranks of the Hunters Lodge and helped Talanah defeat Redmaw. In order to unlock this trophy, you have to complete 4 side missions, culminating in a cool fight against a very resilient Thunderjaw. 1) Hunting for the Lodge – This side mission starts as soon as you go to any Hunter trial grounds and talk to the trial giver. Once all these missions are complete, go to the Hunter’s Lodge and talk to new Sun Hawk.